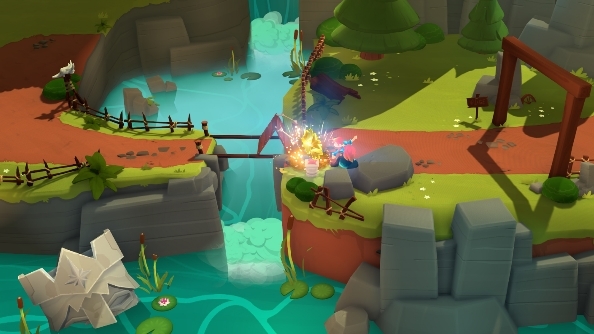 Debuted at the PC Gaming Show at E3, Mages of Mystralia is an isometric action game that looks to take a little of Magicka, but amp up the cuteness and focus more on story than blowing yourself up. Written by Ed Greenwood, the creator of the Forgotten Realms Dungeons and Dragons setting, it looks like there could be some interesting lore to discover as players take on the role of Zia. She’s been exiled for poor use of magic, and so is on a journey to learn how to master and control her abilities. That mastery appears to come from creating your own spells, which the trailer suggests is done through creating constellations in the stars. Developer Borealys Games claims that there are millions of different possibilities for spell creation, based on combining magic runes. Despite the name, the game is not set in a magical Australia. Or at least the trailer makes no attempt to say that. I’m keeping my fingers crossed for the appearance of a kangaroo wearing a pointy wizard hat, though.